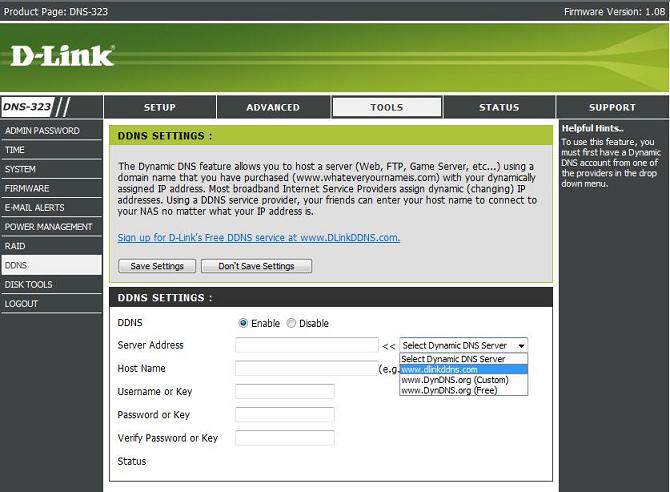 What is Dynamic DNS and how to configure Dynamic DNS (DDNS) on D-Link NAS or NVR DNS-323? This FAQ is for the D-Link DNS-321, DNS-323, DNS-343, or DNS-726-4 Storages. Dynamic DNS (DDNS) allows remote administration of the unit or FTP access using a domain name in situations where a static IP address is not available. Each time a new dynamic IP address is pulled, the the Unit updates the IP address with the DDNS service provider. Write down the URL and login information you obtained after registering with one of the above DDNS providers. 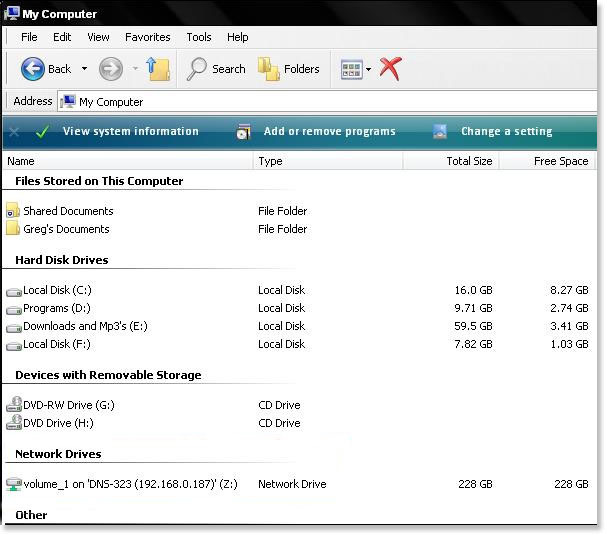 Step 2: Log into the web-based configuration of the NAS or NVR. Step 3: Click the Setup or Tools tab and then click Dynamic DNS or DDNS to the left. 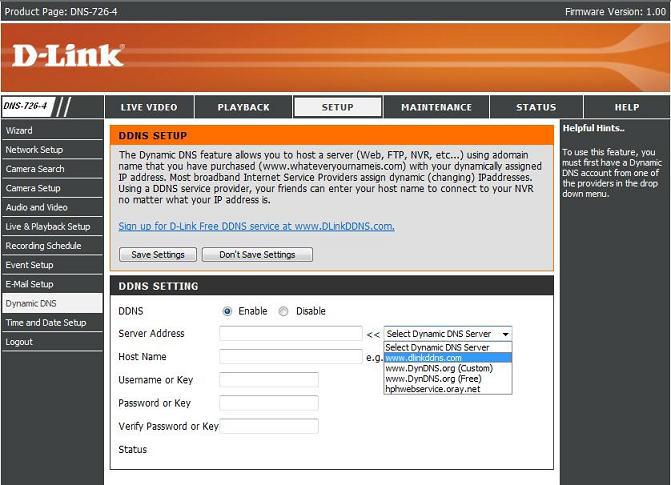 Step 4: Click the Enable DDNS checkbox. Step 5: Select the provider that you registered with from the drop-down list next to Server Address. Step 6: Using the information you obtained in Step 1 enter the domain name that you created (i.e. mynas.dyndns.org) in the field by Host Name. Enter your login information for the account in the Username/Key,Password/Key, and verify Password/Key fields. 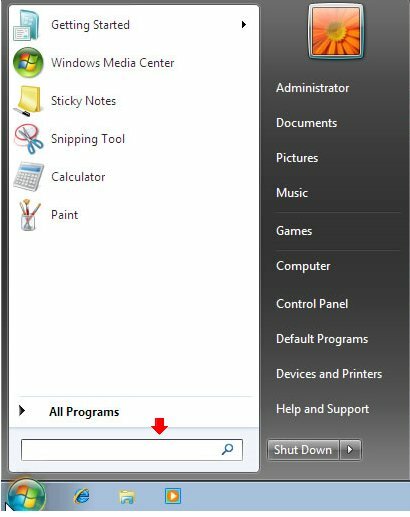 Step 7: Click Save Settings to save the new settings. 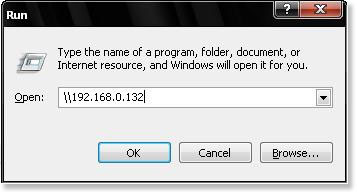 Note: After this is set up, you use the domain name that you registered to access the NAS or NVR remotely. For example, if the domain name that you registered is mynas.dyndns.org, then you would typehttp://mynas.dyndns.org in the address bar of your internet browser to access the camera remotely. How do I add a USB printer to my D-Link DNS-323/343? 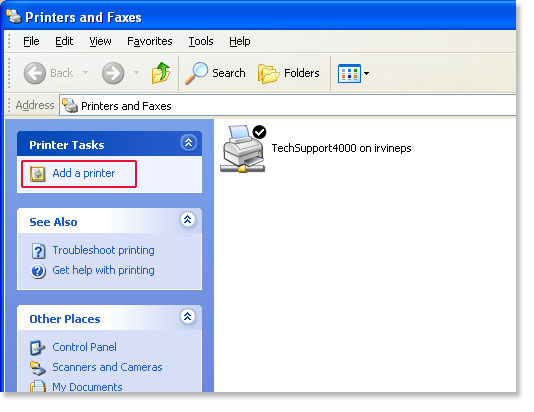 Step 2: Select Add a printer. 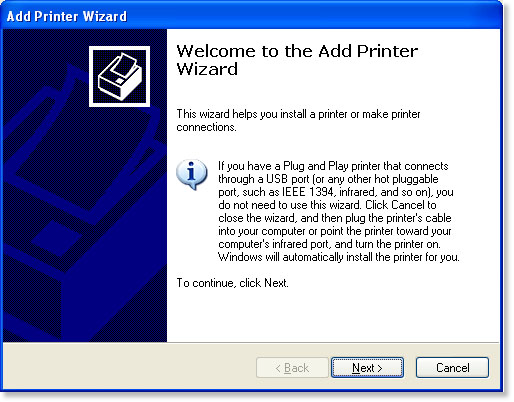 Step 3: The Add Printer Wizard will launch. Click Next to continue. 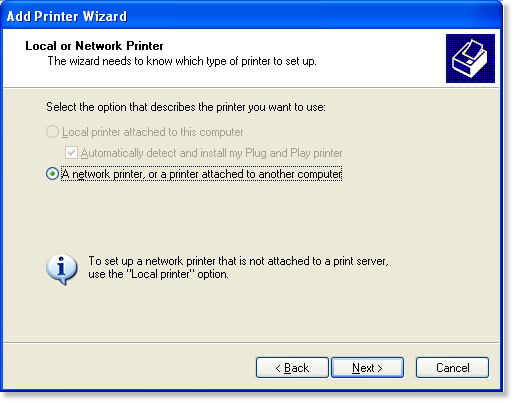 Step 4: Select A network printer, or a printer attached to another computer. Click Next to continue. 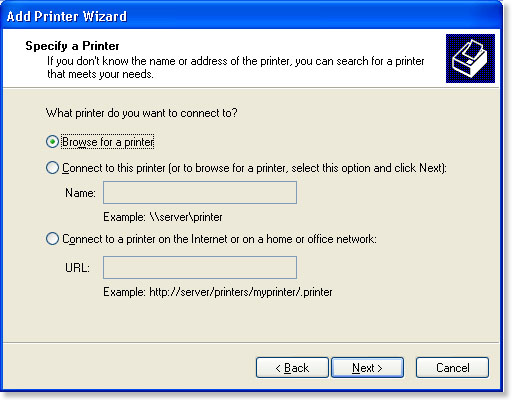 Step 5: Select Browse for printer and select Next. 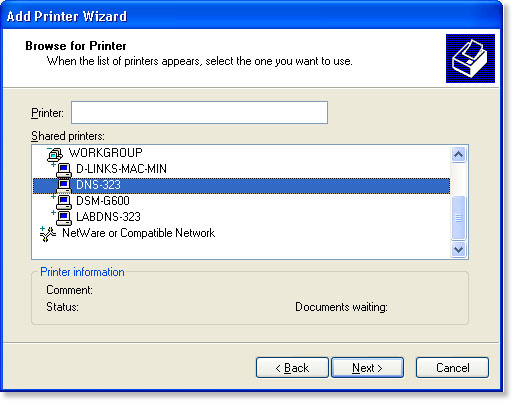 Step 6: Double click on DNS-323 from the shared Printers list to expand the tree. 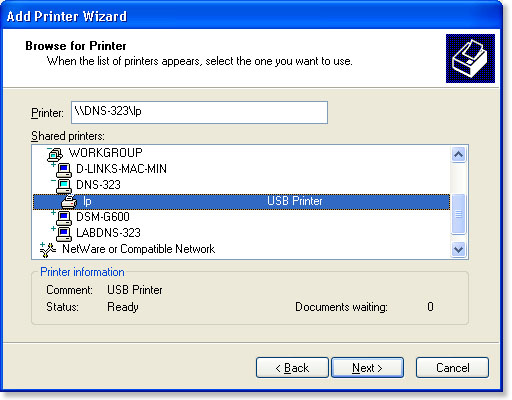 Step 7: Select the available USB printer and click Next to continue. Step 9: Click OK to continue. 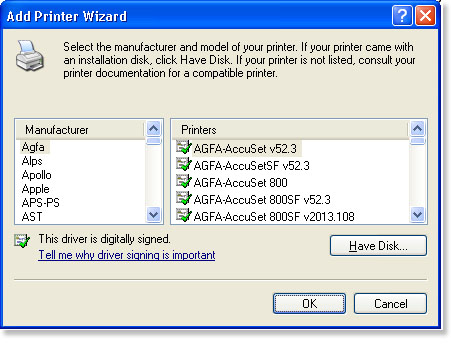 Step 10: Select the appropriate printer driver from the list and click OK. This will complete the wizard and the printer will now be available. 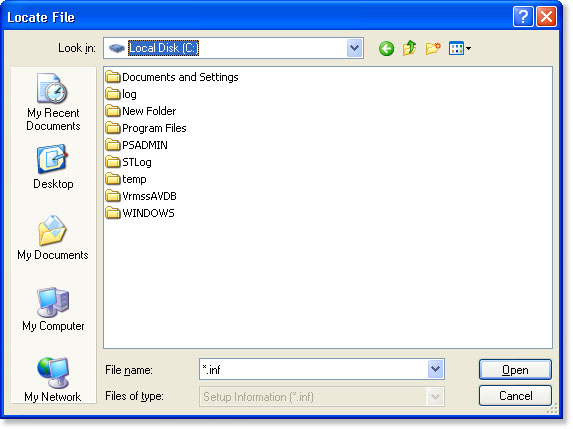 Step 11: Select Have Disk. 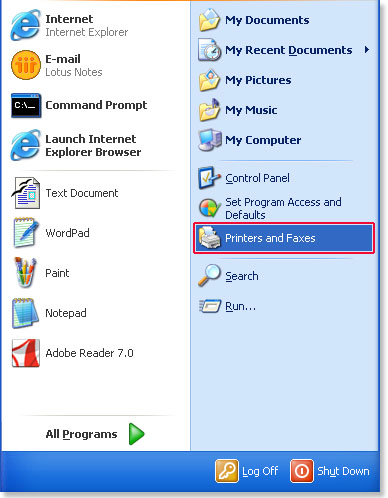 Step 12: Insert the print driver CD or browse to the appropriate directory. 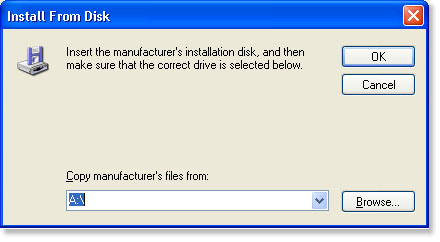 Step 13: Select the appropriate driver file and click Open. Verify that the driver is correct and click OK. 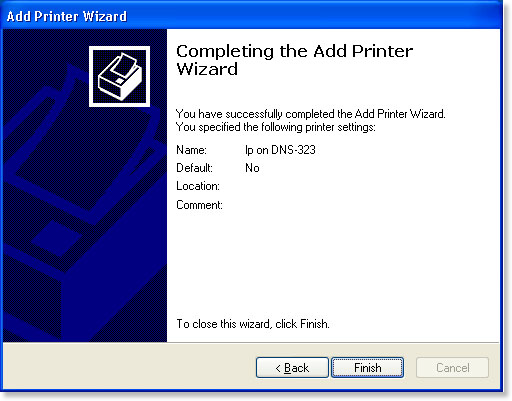 Step 15: The wizard will install the printer drivers, and return a completion screen. Click Finish. 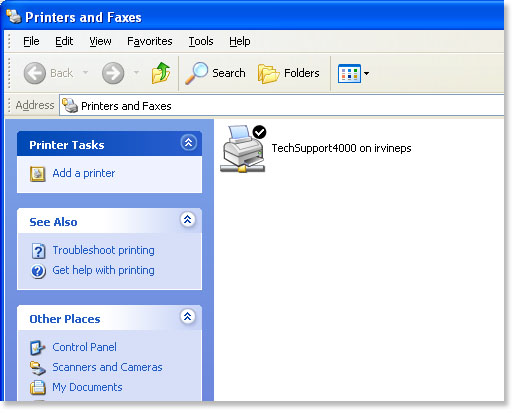 The printer should now appear as an available printer. There are a number of products currently available aimed to meet home storage needs. Rather than purchasing an entire computer to act as a file sever, these NAS (Network Attached Storage) devices are cheap, and you can typically stuff them in a corner and forget about them, using them to store backups or files that you want to share with other systems. 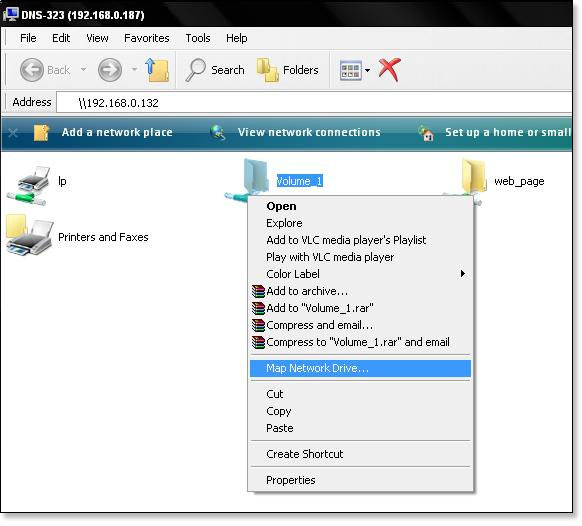 They can be used to share files with those outside of the home network, or strictly for those inside. One such device is the D-Link DNS-323, a two-bay NAS system that runs Linux. It is a small box, but large enough to store two 3.5″ SATA drives, so it can be stored nearly anywhere. By itself, the DNS-323 has a web-based administrative console, has multiple disk options (JBOD, RAID0, RAID1, or individual disks), gigabit Ethernet, allows for SMB (Windows file sharing) and FTP access. It has one USB port for a printer to allow it to be a print server as well, and it can also be an iTunes media server out of the box. All of this is available for roughly $200. For the average user, this is great as-is. For the tinkerer, you should have zeroed in on the fact that the DNS-323 runs Linux, which makes this tiny little box a whole lot more compelling. If it runs Linux, then it can also run other server-related software that runs on Linux, and it should be infinitely customizable. The good news is that it is — and it’s easy to set up. It has also spawned a little community of hackers that have customized the D-Link DNS-323 to be a full-fledged Linux server, to provide NFS sharing, to be a web server with full PHP support, an rsync server, a subversion server, a BitTorrent server, and more. The tool that is used to hack the DNS-323 is a set of scripts called fun-plug. As of this writing, the latest version is 0.5 and it is a snap to install. Once these are stored in the root directory of the Volume_1/ share, unmount the SMB share and reboot the DNS-323 via the web console. Once it has rebooted, the fun-plug scripts will start, will have extracted the fun-plug tarball and all the tools and scripts it contains, and will have started a telnet server on the DNS-323 that can be used to log in as root. If you’re paranoid, you may want to reboot the DNS-323 after enabling sshd to start at boot and before disabling telnetd. Once you know that SSH works when the DNS-323 has rebooted, then you should disable telnet. Now you can hack around further. While I used the SMB access to the DNS-323, I would rather use NFS. This became available once fun-plug was installed; all it needs is to be enabled and configured. You don’t need to restart the DNS-323 to make sure it works. From another system on the network you can mount dns-323:/mnt/HD_a2 (if “dns-323″ was the hostname of the DNS-323 box) and you should be able to access the contents of the NAS directly with full read/write access. The options here are endless. The DNS-323 isn’t the fastest system in the world, but it does run Linux and it can do certain tasks extremely well. The fun-scripts package comes with a number of useful tools out of the box, and there are many others to be had. As well, using the fun-scripts gives you complete control over the DNS-323, unlike the web control panel which, while quite thorough, is still limited. For $200, this may be one of the cheapest Linux file servers to be had, and is certainly a bargain. 1. From the Tools menu, select Internet Options… . 3. Under Browsing history, click Delete… . 4. Next to “Cookies”, click Delete files… . 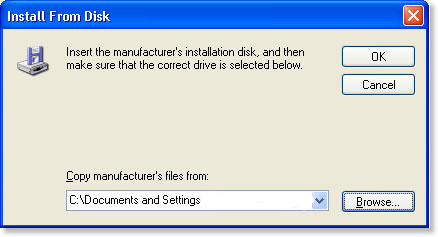 Note: If that does not seem to resolve the issue please try removing all partitions from the drive using your PC.